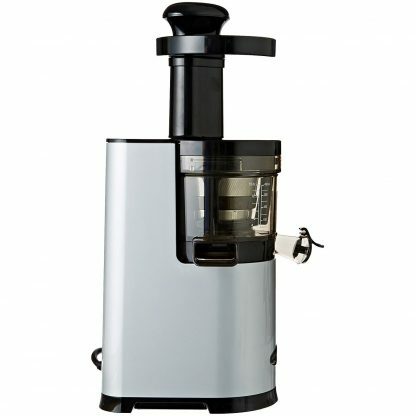 Read our review of the Omega VSJ843QS / VSJ843QR Juicer here! 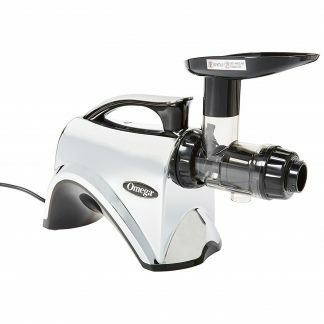 The *NEW* Omega Vert, Model VSJ843QS / VSJ843QR Juicer, low speed 43RPM squeezing juicer system. Plant Based Pros is an Authorized Retailer of Omega products. The AUTO-CLEANING system keeps the screen clear, increasing the machines efficiency. After you are finished juicing, the AUTO-CLEANING system minimizes the clean-up process. The vertical design is compact, contemporary and productive. 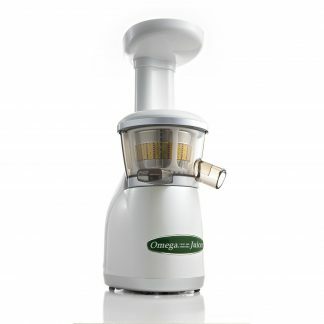 With the Omega VSJ843QS / VSJ843QR, form and function combine to give you the highest degree of extraction and the healthiest possible juice. 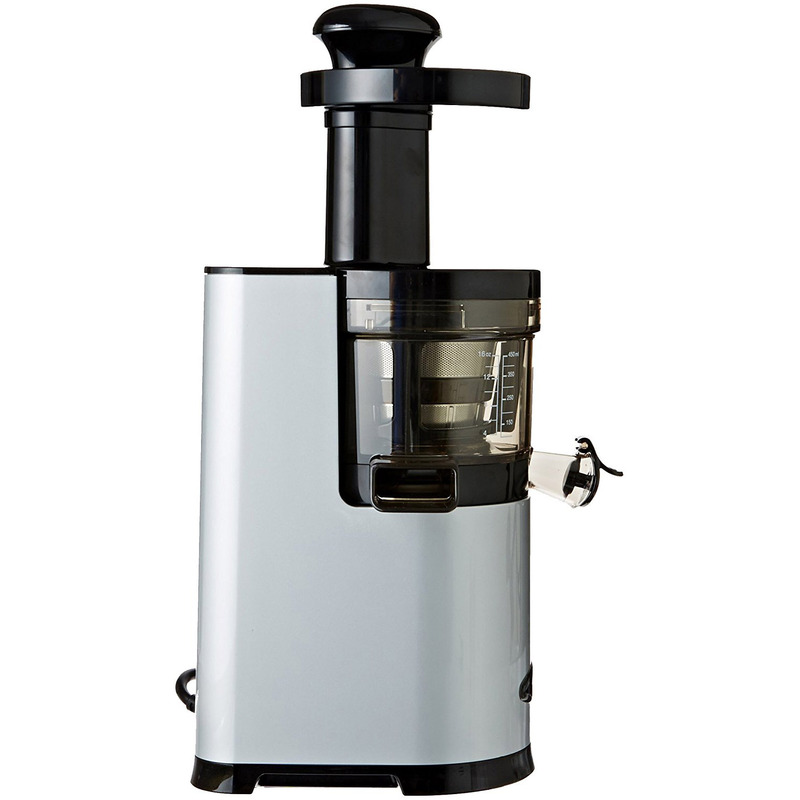 The VSJ843QS / VSJ843QR Juicer is the newest, lowest speed vertical masticating juicer in Omega’s offering. High quality juicer Really high quality, works amazingly well. Slow speed so the juice stays fresh longer, a lot of torque and has a reverse mode if you get too aggressive with too hearty vegetables. Large carrots will stop it, but that is about it, the unit juices everything really well. Really like it. Couldn't wait to juice with this! couldn't wait to try this juicer. I had 64 oz of fresh juice in about 20 minutes (veggies and fruit were already washed). I've been researching the internet for the best type to purchase. There are MANY out there and one can get overwhelmed. Each have their respective pros and cons. 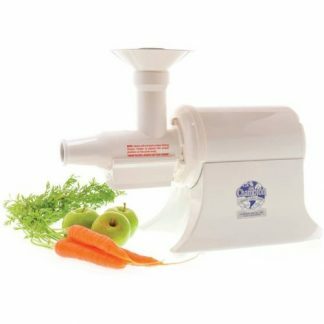 I chose this one for: quality of the juice (slow masticating/press = less foam), simple operation ( one step process), ease of juicing (most fruits and vegetables), helpful cleaning and relative price. Right out the box it already comes assembled except for the very top so that helped to orientate assembly per the manual to make I'm aware how it fits together. I appreciate that the pulp and juice catch containers are STACKABLE, takes up less space in my pantry. As far as cleaning for sanitary reasons, any juicer requires some level of detailing. This unit is probably in the middle between one that cost 10x more with "less" cleaning and the cheaper models with more moving parts and/or design inefficiencies. 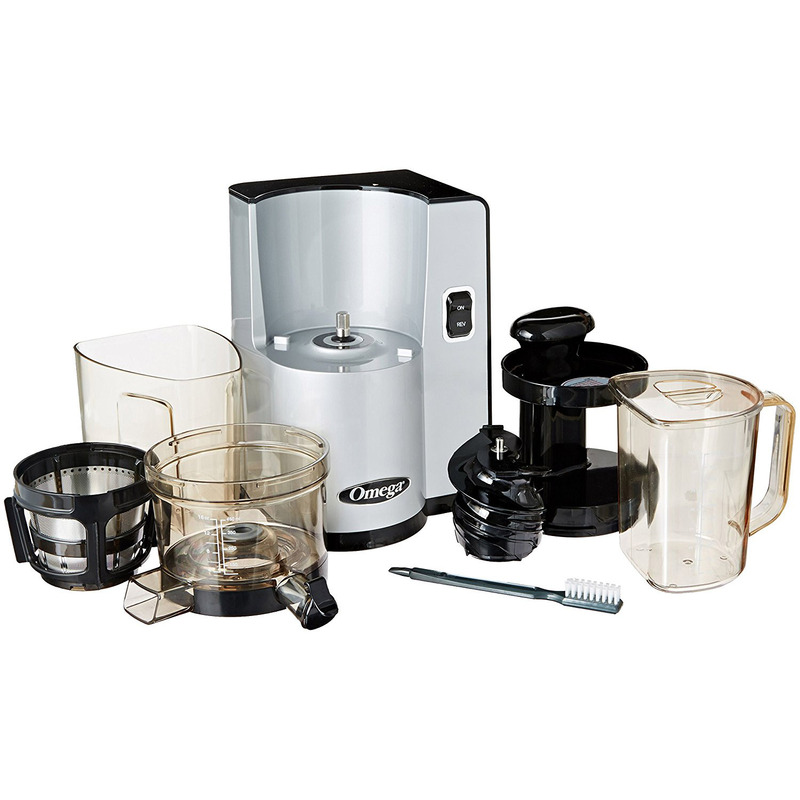 It offers a cleaning cycle which allows water to be added, circulated then exit through the outgoing juice port. There are three other areas (screen, under the auger, pulp exit port) that will be left for final cleaning. The cleaning tool provide has two ends to greatly assist with that or your finger! The pulp for most items is relatively bland with little to no juice left. If you follow the proper sequence of alternating hard and soft produce, nothing should stick in the feed shoot. However there is a reverse button and a pusher if you need additional help. NEVER put your fingers or any other utensil down the shoot to force items through!! All in all I'm happy with this purchase. It's an investment if you care to make juices that will have less oxidative exposure (longer shelf life) with a decent juice yield. PLUS a 15 YEAR tells me the manufacturer paid attention to how this was made. A stainless metal auger for this upright style and a juicing screen ( I already had one in my kitchen) would be nice add-ons in my opinion. Cheers! HAPPY! Works great and tastes great - I am in love with this juicer! Every glass of juice from the VSJ843QS is beautifully squeezed and the pulp is very dry. This is easy to assemble, run, and clean once the job is done. Hands down, this is the best juicer that I've used. 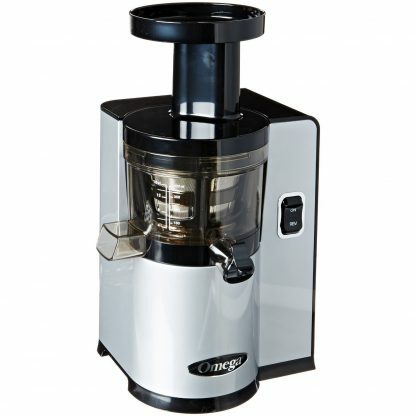 I have an old centrifugal juicer that is going to the trash as soon as our garbage man comes. Very Pleased This is my first juicer and I am very pleased with it! It is really quiet and easy to operate. I use it 2x / day and the cleanup is a breeze. So happy that I bought it!